How Congress can stop employers from telling workers how to vote. How to stop employers from telling workers whom to vote for. 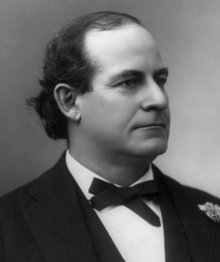 When William Jennings Bryan squared off against William McKinley for the presidency in 1896, the head of Steinway piano warned his workers, “Men, vote as you please, but if Bryan is elected tomorrow, the whistles will not blow Wednesday morning.” Big insurance companies offered low-interest loans to farmers in the swing states of the Midwest—explicitly contingent on a McKinley victory. History is essentially repeating itself. Mitt Romney has urged large contributors to “make it very clear to your employees what you believe is in the best interest of your enterprise and therefore their job and their future in the upcoming elections.” More and more employers have been following through in recent weeks. In coming years, we expect them to develop McKinley-era techniques by offering special workers deals that will pay off only if the employer-favored candidates win. Who’s to stop them? The answer should be Congress. The corruption of politics in the Gilded Age led to the passage of the Tillman Act in 1907. The statute banned corporate political contributions for the first time in American history, but it failed to confront the problem posed by coercive employer arm twisting. The Supreme Court’s ruling a century later in Citizens United stopped short of striking down the Tillman Act, but the Court’s underlying rationale puts it at grave risk in the next round of litigation. Congress should not stay on the sidelines in the meantime. It should reinforce the Tillman Act by banning coercive employer threats to workers’ political independence. The National Labor Relations Act provides the right model for reform. As interpreted by the Supreme Court’s 1969 decision in NLRB v. Gissel Packing, the statute allows employers to provide “objective facts” to convince workers that unionization will lead to plant closings. But it forbids them from threatening punitive actions “for reasons unrelated to economic necessities.” The court emphasized that even if an employer sincerely believes that “unionization will or may result in the closing of the plant,” he can’t make the threat without proof that particular plants will close—which the justices said would rarely be possible. Congress should extend these well-developed principles to political elections. Employers’ fact-free threats of plant closures impose unacceptable coercion on workers when they vote for candidates just as much as when they vote on unionization. In this situation, too, worker autonomy should trump the employer’s free speech rights. This logic should prove persuasive to the current court. While it is the most conservative in modern history, it is not prepared to launch a direct attack on the National Labor Relations Act or other New Deal monuments. As its recent Obamacare decision shows, it is not even prepared to invalidate extensions of New Deal activism into new areas of social life. So long as the NLRA stands, there is no ground for preventing Congress from expanding its principles to protect workers when they vote in state and national elections as well as when they vote on unionization. The prospects for reform are reasonably bright. Incumbents of both parties have been hit by the storm precipitated by Citizens United and may be willing to take action against the worst abuses. Employer coercion should be at the top of the list. If there is a deadlock in Washington, states should take the lead. Wisconsin and Pennsylvania have already passed statutes; other states should follow and would be well advised to use the principles provided by the court’s labor rulings. It would also be wise to expand the laws that bar traditional vote-buying to stop companies from quid pro quo deals that hinge on the outcome of an election. With Congress and the states on the case, we can weed out the worst pathologies of this second gilded age before they fully entrench themselves in political life.